The 2017 Puebla earthquake struck at 13:14 CDT (18:14 UTC) on 19 September 2017 with an estimated magnitude of Mw 7.1 and strong shaking for about 20 seconds. 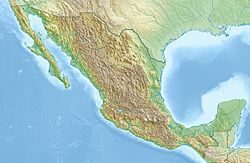 Its epicenter was about 55 km (34 mi) south of the city of Puebla. The earthquake caused damage in the Mexican states of Puebla and Morelos and in the Greater Mexico City area, including the collapse of more than 40 buildings. 370 people were killed by the earthquake and related building collapses, including 228 in Mexico City, and more than 6,000 were injured. The quake coincidentally occurred on the 32nd anniversary of the 1985 Mexico City earthquake, which killed around 10,000 people. The 1985 quake was commemorated, and a national earthquake drill was held, at 11 a.m. local time, just two hours before the 2017 earthquake. Twelve days earlier, the even larger 2017 Chiapas earthquake struck 650 km (400 mi) away, off the coast of the state of Chiapas. Mexico is one of the world's most seismically active regions, sitting atop several intersecting tectonic plates. 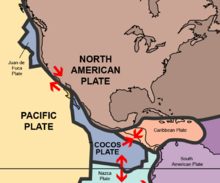 The border between the Cocos Plate and North American Plate, along the Pacific Coast of Mexico, creates a subduction zone that generates large seismic events. Activity along the edges of the Rivera and Caribbean plates also generate seismic events. All together, these seismic forces cause an average of 40 earthquakes a day in Mexico. Mexico City is built on a dry lakebed with soft soil made up of sand and clay, which amplifies the destruction that major earthquakes cause. Loose sediments near the surface slow the shockwaves' speed from 1.5 miles (2,414m) per second (8690.4 km/h) to roughly 150 feet (45,72m) per second (164.592 km/h). This increases the shockwaves' amplitude, which causes more violent shaking. Deeper and denser soil layers increase amplified shockwaves' destructive duration. The possibility of a link between the earthquakes was being investigated in the days after the second one. Big earthquakes can increase the long-term risk of seismic activity by transferring "static stress" to adjacent faults, but only at a distance of up to four times the length of the original rupture. In 19 September earthquake, static stress transfer was considered unlikely due to the distance between the earthquakes, in excess of the expected 400 km maximum. "Dynamic triggering", with seismic waves propagating from one quake affecting other faults, may operate at much longer distances, but usually happens within hours or a few days of the triggering quake; a 12-day gap is hard to explain. According to the bulletin of Mexico's SASMEX earthquake warning system, 20 seconds' advance warning was given in Mexico City; however the general experience in the capital was that the alarm and cellphone alerts started only a few seconds before, or during the quake. Some residents reportedly mistook the alert for a continuation of the earlier drill. 25 of the early-warning seismic sensors detected the earthquake, and alerts were also provided to Oaxaca, Acapulco, Chilpancingo, and Puebla, with lead times stated to range from 12 to 48 seconds. Nine days after the earthquake, at least 361 people had been reported killed. At least 74 people were killed in the state of Morelos, 220 in Mexico City, 45 in Puebla, 13 in the State of Mexico, 6 in the state of Guerrero and one in the state of Oaxaca. In Mexico City, the bodies of 26 students and four instructors were pulled from the rubble of the Enrique C. Rébsamen school; 30 students and 8 adults were still unaccounted for as of the evening of 19 September[update]. The Mexico City campus of the Monterrey Institute of Technology and Higher Education suffered damage, with at least 5 people killed and 40 injured. More than 6,000 people had been reported injured by the day after the earthquake, with more than 300 confirmed dead as Mexico earthquake rescue efforts continue. On 1 October the number of people known to have been killed was stated to be 361, with more than 4,500 injured. By place, 220 were killed in Mexico City, 74 in the state of Morelos, 45 in Puebla, 15 in Mexico State, six in Guerrero, and one in Oaxaca. An investigation published in October 2017 revealed that since 2012 there had been over 6,000 complaints about construction violations in Mexico City, with no public record of how many were followed up. Many of the buildings complained about collapsed in 19 September earthquake. After the earthquake the Urban Development and Housing Secretariat (Seduvi) did not respond to requests for information on responses to complaints. Local activists called the construction system totally corrupt, and said that some developers circumvent building regulations, and city authorities frequently ignore complaints. The casualties included eight foreigners, including four Taiwanese women, a Korean man, a Spanish man, a Panamanian woman and an Argentine man. Gas leaks were reported, along with "piles" of rubble from collapsed buildings. Stock prices declined at the Mexico Stock Exchange but recovered before trading was suspended. Comisión Federal de Electricidad, the national electric utility, reported that 4.78 million customers lost power in Guerrero, Morelos, Puebla, State of Mexico, Oaxaca, Tlaxcala, and parts of Mexico City—roughly 35% of the company's customers in those states. However, none of the generating stations in the region sustained structural damage. A damage survey by American structural engineers revealed that a number of collapsed buildings had been erected in the 1960s and 1970s with unreinforced masonry walls confined by non-ductile concrete frames. All Round of 16 matches of the Copa MX, an association football cup competition, were suspended until further notice. The hashtag #FuerzaMéxico (Be strong, Mexico) was used on social media outlets. Mexico's political parties offered to help victims in different ways, including the diverting some of the money they receive from the government for their campaigns. After months of debate and legal challenges, the donations were: PRI US$5,792,000, PAN US$2,479,000, PVEM US$524,000, Movimiento Ciudadano US$2,529,000, Encuentro Social US$506,000. Morena and PT did not specify how much they will donate. PRD has pledged US$1,239,000, and Nueva Alianza US$2,081,000, although these amounts were not reported to the national election board Instituto Nacional Electoral. In response to the two major earthquakes in Mexico of September 2017, by the end of that month 501 rescue workers, 32 search dogs, equipment, and over 440 tonnes of humanitarian aid had been sent to Mexico from over 27 countries around the world. Among the countries that came to Mexico's aid were Argentina, Canada, Chile, China, Colombia, Costa Rica, Ecuador, El Salvador, Germany, Honduras, Israel, Japan, Panama, Peru, Russia, Spain, South Korea, Switzerland, Turkey, the United States, the United Arab Emirates, the Vatican, and Venezuela, with aid coming from the United Nations and the European Union, as well. Russia delivered 35 tonnes of aid supplies to Mexico, including 24.5 tonnes of canned goods, as well as 64 community-sized tents. China shipped 3,000 tents along with more than 500 camp cots. Canada sent 1,500 family-sized tents. The Israel Defense Forces sent a group of 71 search and rescue soldiers including engineers, to help in the aftermath of the earthquake. The contingent had special dispensation to travel during the Rosh Hashanah holiday, normally forbidden under religious law. The Japan International Cooperation Agency sent a disaster relief team of 72 search-and-rescue personnel, four search dogs and five tons of equipment with personnel from the Japan Disaster Relief Team, Tokyo Fire Department and the Tokyo Metropolitan Police's SAR officers. The Ministry of Foreign Affairs of the country remarked that it was a show of thanks, as Mexico had sent a search team to help Japan during the 2011 Tōhoku earthquake and tsunami. Turkish state aid agency TİKA sent humanitarian aid – including packages containing hygienic and medical supplies prepared in coordination with the Mexican Red Cross – to Mexico City and Xochimilco. TIKA also provided tools and equipment to be used in search-and-rescue efforts. US President Donald Trump called Peña Nieto to offer condolences, while the White House has offered search and rescue assistance. The U.S. Agency for International Development deployed an urban search and rescue team from the Los Angeles County Fire Department and experts from the Office of Foreign Disaster Assistance to the affected regions. Celebrities who donated large sums include actress Salma Hayak ($100,000), Formula 1 driver Sergio Perez ($170.000), actress and singer Ana Brenda Contreras ($57,000), writer J.K. Rowling, singer Shawn Mendes ($100,000), Facebook founder Mark Zuckerberg ($1,000,000), Apple CEO Tim Cook ($1,000,000), and others. Direct Relief, an emergency response organization, provided emergency response kits to a trauma hospital in southern Mexico City. They contained enough supplies to treat 1,000 people for a month. Direct Relief is also preparing shipments of medicines and medical supplies to improve its support to health care partners within the country. Volunteers and rescuers working at collapsed building at Colonia Roma, Mexico City. Volunteers and rescuers working at a collapsed warehouse, colonia Obrera, Mexico City. Crumbled sidewalk outside a Hilton hotel, Mexico City. ^ Sismologico Nacional [@SismologicoMX] (23 September 2017). "Réplicas hasta las 12:30 hrs del 23/09/2017" (Tweet) (in Spanish) – via Twitter. ^ a b c d "M 7.1 – 5km ENE of Raboso, Mexico". United States Geological Survey. 19 September 2017. Retrieved 19 September 2017. ^ a b Almasy, Steve; Simon, Darran (19 September 2017). "Central Mexico earthquake kills dozens, topples buildings". CNN. Retrieved 19 September 2017. ^ "Mueren 4 tras sismo; caen 29 edificios" [4 die in earthquake after 29 buildings fall]. Reforma (in Spanish). 19 September 2017. Retrieved 19 September 2017. ^ "Recuperan cuerpo de última víctima del terremoto en México". AP News. Retrieved 4 October 2017. ^ "Asciende a 46 la cifra de muertos por sismo: fallece mujer originaria de Atlixco". www.diariocambio.com.mx (in Spanish). Retrieved 7 October 2017. ^ "Reporta Ssa 51 lesionados graves – Independiente de Hidalgo". Independiente de Hidalgo (in Spanish). 28 September 2017. Retrieved 28 September 2017. ^ "Powerful Earthquake Shakes Mexico On 32nd Anniversary Of Deadly Temblor". NPR. 19 September 2017. Retrieved 19 September 2017. ^ a b "Starkes Erdbeben erschüttert Mexiko" [Strong earthquake shakes Mexico]. Tagesschau (in German). 19 September 2017. Retrieved 19 September 2017. ^ "The Latest: Death toll rises to 226 from Mexico earthquake". Associated Press. 20 September 2017. Retrieved 20 September 2017. ^ a b c d "Sismo del día 19 de Septiembre de 2017, Puebla-Morelos (M 7.1)" [Earthquake of 19 September 2017, Puebla-Morelos (M 7.1)] (PDF) (in Spanish). National Seismological Service. 19 September 2017. Retrieved 19 September 2017. ^ Grad, Shelby; Lin II, Rong-Gong (19 September 2017). "Mexico City's notoriously soft soil probably contributed to destruction from 7.1 earthquake". Los Angeles Times. Retrieved 19 September 2017. ^ a b Watkins, Derek; White, Jeremy (22 September 2017). "Mexico City Was Built on an Ancient Lake Bed. That Makes Earthquakes Much Worse". The New York Times. ISSN 0362-4331. Retrieved 22 September 2017. ^ "The Latest: Seismologist: Mexico's 7.1 quake not aftershock". Associated Press. 19 September 2017. Retrieved 19 September 2017. ^ Witze, Alexandra (20 September 2017). "Pair of deadly Mexico quakes puzzles scientists". Nature. doi:10.1038/nature.2017.22650. ISSN 1476-4687. ^ "Millions of Mexicans commemorate 1985 quake with drill". Madrid: EFE. 20 September 2016. Retrieved 19 September 2017. ^ Partlow, Joshua (19 September 2017). "Strong earthquake shakes Mexico, killing at least 40 people". The Washington Post. Retrieved 19 September 2017. ^ "Deadly earthquake in the Puebla region, Mexico – at least 226 fatalities – September 19, 2017". Earthquake-Report.com. 20 September 2017. Retrieved 20 September 2017. As @NTelevisaPuebla reports, the strong shaking lasted for approx. 1 minute and that's a very long time. The longer strong shaking lasts, the more damage will be inflicted! Page added to frequently. ^ "IRIS: Special Event: Central Mexico". IRIS – Incorporated Research Institutions for Seismology. 20 September 2017. Retrieved 20 September 2017. Frequently updated. ^ "BOLETÍN DEL SISTEMA DE ALERTA SÍSMICA MEXICANO (SASMEX), 19 September 2017 at 13:15:04" [SASMEX Bulletin]. Centro de Insrumentación y Registro Sísmico a.c. (in Spanish). 19 September 2017. ^ "Alarma sísmica sonó cuando ya temblaba en CDMX, te explicamos la razón, 20 September 2017 at 12:17:00" [Alarma sísmica sonó cuando ya temblaba en CDMX, te explicamos la razón]. El Grafico (in Spanish). 20 September 2017. ^ "Te explicamos por qué no sonó la alerta sísmica, 20 September 2017 at 04:47:00" [Te explicamos por qué no sonó la alerta sísmica]. UnoTV (in Spanish). 20 September 2017. ^ "¿Por qué no sonó la alarma sísmica en México?, 21 September 2017 at 20:12:00" [¿Por qué no sonó la alarma sísmica en México?]. CHISPA (in Spanish). 21 September 2017. ^ "Primero tembló y después se escuchó la alarma sísmica, 20 September 2017 at 20:12:00" [Primero tembló y después se escuchó la alarma sísmica]. BASTA (in Spanish). 20 September 2017. ^ Amos, Jonathan (2017-09-20). "Are Mexico's two September earthquakes connected? – BBC News". BBC News. BBC. Retrieved 21 September 2017. ^ a b c d e f g h i j Puente, Luis Felipe [@LUISFELIPE_P] (1 October 2017). "#Actualización" (Tweet) (in Spanish) – via Twitter. ^ a b Argen, David (19 September 2017). "Mexico earthquake: more than 60 dead as powerful tremor hits southern region". The Guardian. Retrieved 19 September 2017. ^ a b c Stevenson, Mark; Sherman, Christopher; Orsi, Peter (19 September 2017). "149 killed as 7.1 magnitude quake fells buildings in Mexico". Associated Press. Retrieved 19 September 2017. ^ Vargas, Rosa Elvira (19 September 2017). "Confirma EPN recuperación de 22 cuerpos en colegio Enrique C. Rébsamen" [EPN confirms recovery of 22 bodies in Enrique C. Rébsamen school]. La Jornada (in Spanish). Retrieved 20 September 2017. ^ "Hay 26 niños fallecidos y 30 desaparecidos en derrumbe de escuela Rébsamen: Peña Nieto" [Peña Nieto: 26 children dead and 30 missing in collapse of Rébsamen school]. El Universal (in Spanish). 19 September 2017. Retrieved 20 September 2017. ^ Sánchez Jiménez, Arturo (20 September 2017). "Cinco muertos y 40 heridos en el Tec de Monterrey" [Five dead and 40 wounded at Tec de Monterrey]. La Jornada (in Spanish). Retrieved 20 September 2017. ^ "Death toll in Mexico quake rises to 295, search for survivors goes on". NBC News. ^ Notimex (30 September 2017). "Actualizan cifra, 360 decesos en el país por sismo del 19 de septiembre" [Figure updated, 360 deaths in the country due to the earthquake of 19 September]. Enfoque Noticias (in Spanish). Retrieved 1 October 2017. ^ Martha Pskowski and David Adler (13 October 2017). "6,000 complaints ... then the quake: the scandal behind Mexico City's 225 dead". The Guardian. Retrieved 13 October 2017. Article has many examples of violations of building codes, followed by buildings collapsing in the earthquake; for example a collapsed six-storey building that had been constructed on the foundations of a previous two-storey building. ^ "Foreigners killed in Mexico quake from Taiwan, Korea, Spain". The Indian Express. 23 September 2017. ^ a b c Henderson, Barney; Horton, Helena; Strange, Hannah (20 September 2017). "Mexico City earthquake: More than 225 dead as buildings reduced to rubble". The Daily Telegraph. Retrieved 20 September 2017. ^ "Deadly quake rocks Mexico". BBC News. 20 September 2017. Retrieved 20 September 2017. ^ a b Semple, Kirk; Malkin, Elisabeth; Villegas, Paulina (19 September 2017). "Powerful Earthquake Strikes Mexico, Killing Dozens". The New York Times. Retrieved 19 September 2017. ^ "At least 134 dead after magnitude 7.1 earthquake hits Mexico". CBC News. Associated Press. 19 September 2017. Retrieved 19 September 2017. ^ "'Era horrible, todo temblaba'" ['It was horrible, everything trembled']. El País (in Spanish). 19 September 2017. Retrieved 20 September 2017. ^ Lafuente, Javier (20 September 2017). "Más de 220 muertos por un fuerte terremoto en México" [More than 220 dead by a strong earthquake in Mexico]. El País (in Spanish). Retrieved 20 September 2017. ^ Villalobos, Areli (19 September 2017). "Rescatan a 10 personas de un edificio colapsado en Álvaro Obregón 286, colonia Roma" [10 people are rescued from a collapsed building in Álvaro Obregón 286, colony Roma]. Proceso (in Spanish). Retrieved 20 September 2017. ^ Imbert, Fred (19 September 2017). "Mexico stocks fall and then are halted after earthquake shakes buildings in Mexico City". CNBC. Retrieved 19 September 2017. ^ "Sismo Afecta Suministro Eléctrico A Más De 4.8 Millones De Hogares Y Comercios En El Valle De México, Morelos, Puebla, Oaxaca, Guerrero Y Tlaxcala" [Sismo Affects Electrical Supply to More Than 4.8 Million Homes and Businesses in the Valley of Mexico, Morelos, Puebla, Oaxaca, Guerrero and Tlaxcala] (in Spanish). Comisión Federal de Electricidad. 20 September 2017. Retrieved 22 September 2017. ^ Vásquez, Azucena (19 September 2017). "Afecta sismo a 180 vuelos en AICM" [Earthquake affects 180 flights to AICM] (in Spanish). Reforma. Retrieved 19 September 2017. ^ Linthicum, Kate; Lin II, Rong-Gong; Zavis, Alexandra (19 September 2017). "At least 79 killed as powerful 7.1 earthquake strikes central Mexico". Los Angeles Times. Retrieved 19 September 2017. ^ Elizalde, Elizabeth (19 September 2017). "Powerful 7.1 magnitude quake rocks Mexico City, kills at least 55". Daily News. New York. Retrieved 19 September 2017. ^ "Metro de la CDMX ofrece servicio gratuito tras sismo" [CDMX Metro offers free service after earthquake]. Canal44 (in Spanish). 19 September 2017. Retrieved 19 September 2017. ^ "Servicio de Metro, Metrobús y Mexibús afectados tras sismo" [Metro, Metrobús and Mexibús service affected after earthquake]. El Universal (in Spanish). 19 September 2017. Retrieved 19 September 2017. ^ a b "La SEGOB declara Emergencia Extraordinaria para 33 municipios del estado de Morelos, por la ocurrencia de sismo de magnitud 7.1" [SEGOB declares Extraordinary Emergency for 33 municipalities of the state of Morelos, due to the occurrence of earthquake of magnitude 7.1] (in Spanish). Secretaría de Gobernación. 19 September 2017. Retrieved 20 September 2017. ^ a b "La Secretaría de Gobernación declara Emergencia Extraordinaria para la Ciudad de México, por la ocurrencia de sismo de magnitud 7.1" [The Ministry of the Interior declares Extraordinary Emergency for the City of Mexico, due to the occurrence of earthquake of magnitude 7.1] (in Spanish). Secretaría de Gobernación. 19 September 2017. Retrieved 20 September 2017. ^ a b "La SEGOB declara Emergencia Extraordinaria para 112 municipios del estado de Puebla, por la ocurrencia de sismo de magnitud 7.1" [The SEGOB declares Extraordinary Emergency for 112 municipalities of the state of Puebla, due to the occurrence of earthquake of magnitude 7.1] (in Spanish). Secretaría de Gobernación. 19 September 2017. Retrieved 20 September 2017. ^ Jiménez, Benito (19 September 2017). "Activan Plan DN-III en CDMX tras sismo" [Plan DN-III activated in CDMX after earthquake]. Reforma (in Spanish). Retrieved 20 September 2017. ^ Minnick, Benjamin (6 November 2017). "What can Seattle area learn from Mexico City's quake experience?". Seattle Daily Journal of Commerce. Retrieved 6 November 2017. ^ "Copa MX anuncia postergación de octavos de final" [Copa MX announces postponement of Round of 16] (in Spanish). ESPN Deportes. 19 September 2017. Retrieved 19 September 2017. ^ Willingham, AJ; Santiago, Cassandra; Valdez, Gustavo. "In a collapsed Mexico school, a community digs for signs of life". CNN. Retrieved 20 September 2017. ^ "The Latest: Mexico parties offer funds for quake relief". AP NEWS. 26 September 2017. ^ "Partidos y damnificados ¿quién da más?". El Universal. 23 September 2017. ^ "Partidos se benefician con donativos para damnificados". EL DEBATE. ^ "Esto fue lo que los partidos donaron a los damnificados". www.nacion321.com (in Spanish). ^ a b c d "Foreign donations total 440 tonnes - At least 27 countries have sent earthquake aid to Mexico". Mexico News Daily. 29 September 2017. Retrieved 8 July 2018. ^ a b "Mexico thanks those around the world who helped after earthquakes". Agencia EFE. 26 September 2017. Retrieved 8 July 2018. ^ Ari Gross, Judah (20 September 2017). "IDF to send 50-person delegation to earthquake-hit Mexico". The Times of Israel. Retrieved 20 September 2017. ^ "'Japan Disaster Relief Team: 30 Years On' Part 1: Highly Rated Search and Rescue Team Assists After Mexico Quake" (Press release). Japan International Cooperation Agency. 4 October 2017. Retrieved 24 December 2018. ^ Velázquez, Iris (21 September 2017). "Arriban rescatistas japoneses a México" (in Spanish). Reforma. Retrieved 22 September 2017. ^ a b Anadolu Agency (21 September 2017). "Turkey sends aid to 'quake-hit Mexico". World Bulletin. Retrieved 21 September 2017. ^ "230 confirmed dead as Mexico earthquake rescue efforts continue – as it happened". The Guardian. 21 September 2017. Retrieved 21 September 2017. ^ McCleskey, Clayton (20 September 2017). "USAID Deploys Disaster Assistance Team for Earthquake in Mexico". U.S. Agency for International Development. Retrieved 22 September 2017. ^ Rubin, Rebecca; Rubin, Rebecca (22 September 2017). "Shawn Mendes, Salma Hayek, Mark Zuckerberg and More Celebrities Donate to Mexico City Earthquake Relief Efforts". ^ "Responding to the Earthquake in Mexico | Bright Funds". www.brightfunds.org. Retrieved 2019-03-14. Wikimedia Commons has media related to 2017 Puebla earthquake.